Do you want develop an Mobile, But you don’t know how to code an App then Don’t worry Today I will Show you How to develop Mobile App without writing any code. To Develop High level Mobile App such as Games and other apps with High Graphics then you need to have knowledge of coding. There are many software tool that allows you to build an app without any coding tools such as ShoutEm, App Inventor etc and Run your application on diffrent mobile operating system such as android, iOS, Symbian etc. App yet develop app which is ready for Google Play and you can easily make update for your App and also Support RSS/Atom, HTML5, Podcast, YouTube etc. 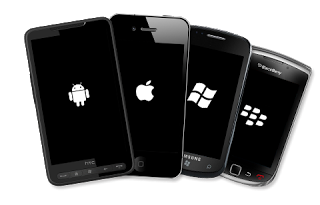 ShoutEm allow you to create application for mobile platform like android, iOS etc. Building an app they are setting up the contents and defining the design and after complition of app you are ready to upload it on app store. App MK takes your source or content such as text,audio or pdf files and Edit the source into AppMK app makers and Setup author info and icon. This makes your app complete and ready to upload it on store. Buzz Touch allows creating apps but is a complex tool and this tool is handling by the programmers and developers. This tool provides an interface like an control panel and build an app.